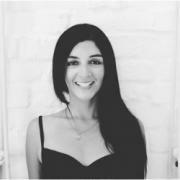 London based and a dedicated practitioner since 2000, Divya has been a full time senior level teacher since 2006, offering drop-in classes, retreats, courses and bespoke tuition to help the individual on their path. A community has grown organically through her time in teaching, connection like-minded souls. Her inspiration is drawn from eastern sources as well as modern psychological thought. Her own teacher training spans the strong discipline of classical Indian yoga and meditation traditions, as well as the evolved approaches to the body and mind in the West. Yoga is an ancient practice and philosophy designed to touch and balance all parts of our being.
" I teach in a way so that Yoga's physical, philosophical and spiritual benefits can be felt as we practice. We are doing yoga so that we can find and experience an optimal state of being and inner stillness. From this we can live in a more peaceful flow state that helps us navigate the ebbs and flows of life and to connect with others in a natural, non-stressful and fulfilling way." "May peace find you. May you find peace." That aside I also feel relaxed and ready to return to normal life, I do so with a clear mind and a better connection to my self. Such a pleasure to spend time with you and your amma, it added a certain something, a grounding, an appreciation of relationships and support.